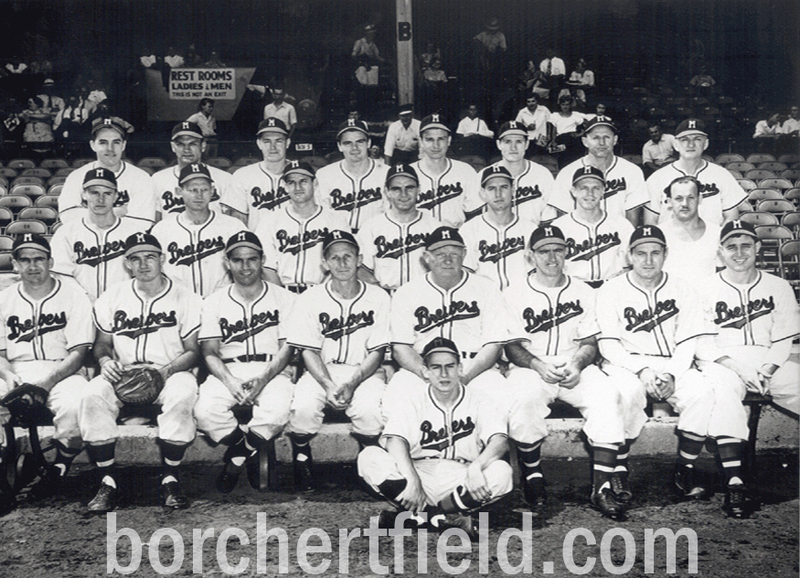 Ladies and Gentlemen, your 1948 Milwaukee Brewers. That's manager Nick "Tomato Face" Cullop in the front row. 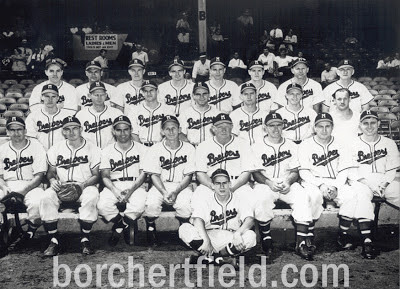 1948 was the first year of the Milwaukee Braves-style white-M caps, part of the ongoing evolution of the Brewers' uniforms after the Braves bought the team. Notice that the mascot sitting on the ground is still wearing his red-M cap from 1947.